Aspen developed a custom refrigeration system to provide direct expansion cooling to the electronics within a Photonics Mast. The solution was restricted in height and weight, requiring use of Aspen’s miniature compressor and a customized condenser and evaporator. CFD simulations helped to optimize the design for dissipation to both mediums (air and water). 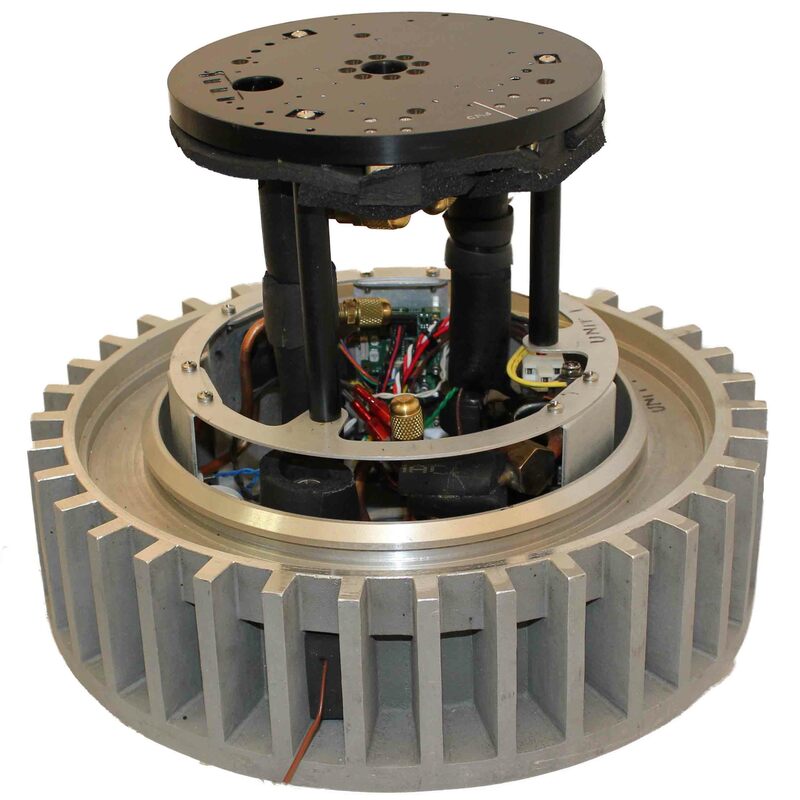 This program was an SBIR effort that Aspen worked on to develop a custom cooling solution for the high power electronics on a photonics mast. Aspen designed several custom components to support this effort, including the condenser and the evaporator. The condenser was formed by casting aluminum around embedded stainless steel tubing. The condenser was designed with fins to reject heat to the ambient air and with internal water passages to circulate sea water. The system design was intended to allow the option for air cooling or for use of sea water on subsequent designs. Aspen designed, built, and fully tested the system in our facility. 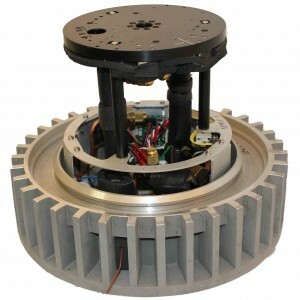 A custom direct expansion (DX) evaporator was designed to remove high heat flux from the electronics. The evaporator was located apart from the condensing unit, illustrating the flexibility of a DX system.